Shady online salesmen offering cheap Adobe software have hacked into several Web pages belonging to NASA and Stanford University. Armed with knockoff Adobe products, the hackers compromised pages on NASA's Jet Propulsion Laboratory website, technology site Computerworld reported. 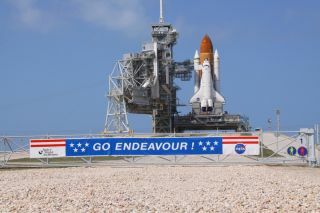 The online attack occurred just days before NASA's final launch of the shuttle Endeavor, scheduled for May 16. The affected pages included barrages of "nonsense text" and interest-generating keywords, such as "Edit buy adobe premiere pro cs4 some callouts and balloons to make this time it took you and saved you a long time," Computerworld reported. To help drive traffic to their rigged pages, the cyberscammers employed the effective tool of search engine poisoning, by which they tricked Google into ranking their manipulated pages at the top of its rankings. With NASA's impending launch, the scammers certainly knew NASA's website would be generating lots of traffic, which, they hoped, would turn into lots of sales. Virtually anytime there is an event of widespread significance, from the Japanese tsunami to Osama bin Laden's death, online scam artists are at the ready with an arsenal of clever tricks to fleece curious and unsuspecting Web users. NASA's scrubbed its website yesterday (May 9), but Computerworld reports that the other targets of this cybersales pitch, which also included Web pages belonging to Syracuse and Northeastern Universities, still have not. Calls to NASA, Stanford, Syracuse and Northeastern were not returned. This article was provided by SecurityNewsDaily, a sister site to SPACE.com.